We are coming from Developing the »grafana-metadata-api« here. Conveniently access multiple JSON files through a single native Grafana datasource based on the Grafana Simple JSON Datasource plugin. This can be used to implement lookup and concordance tables and consume them easily from within Grafana. The server-side component of the Grafana Metadata API is serving as a hackable datasource implementation. Being in its infancy, it just delivers static JSON files after applying some basic routing. It is based on the Simple JSON Datasource plugin, a backend datasource that sends generic HTTP requests to a given URL. The grafana-metadata-api handler has been implemented with Nginx/Lua, responding to requests from simple-json-datasource. 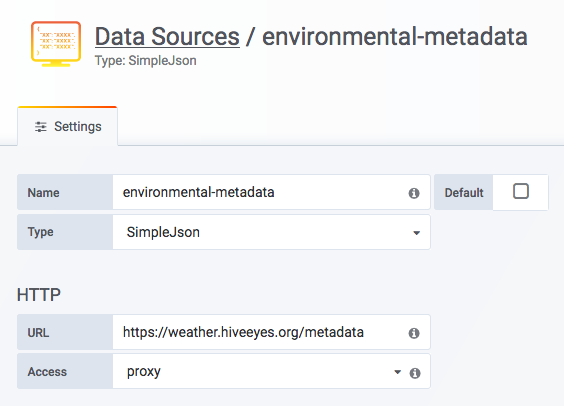 The software "grafana-metadata-api" has been installed and configured on the data acquisition host weather.hiveeyes.org by following the corresponding setup documentation. 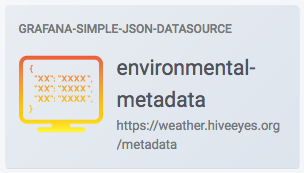 The new data source "environmental-metadata" has been added to pull this into Grafana. This document outlines the process of publishing and consuming a JSON file as a Grafana datasource along the lines of a meaningful example. Grafana will use the "text" property as a the template variable’s label and the "value" property as the raw value of the template variable. Add another Grafana variable to your dashboard (see configure Grafana variable) based on a data source already configured. 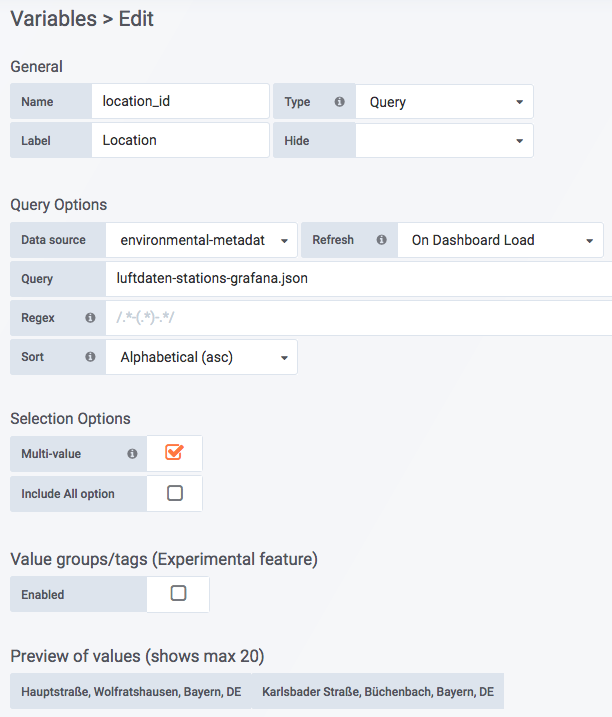 Add a variable named "location_id" backed by the file "luftdaten-stations-grafana.json" from the "environmental-metadata" data source. 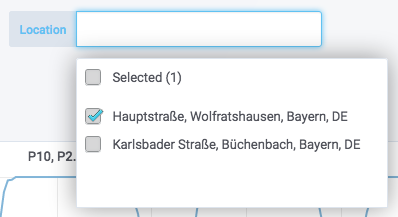 However, when using the select widget, it will propagate the numerical identifier values into the variable "location_id", not their textual representations.